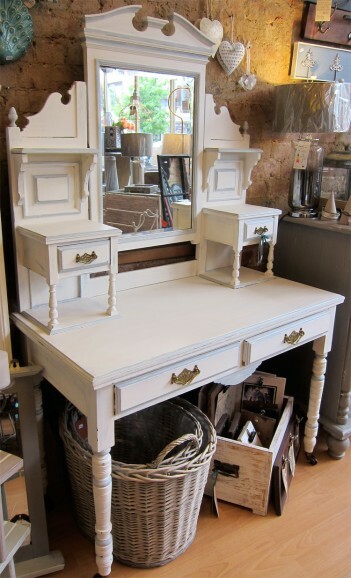 Beautiful, Edwardian (circa 1910) dressing table. This piece has been sanded down and sealed and then had two coats of Grand Illusions Vinatge Paint applied in Stockholm Blue and then a further two coats of Sel de Mer White applied. It has been sanded to age and distress the finish and then finally it has been varnished (using a Matt Varnish).